. 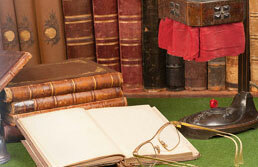 Appraisals and Auctions | ASA qualified specialists by MOVING ON! We have in-house capabilities and work with ASA qualified specialists for performing professional appraisals and assessing fair market value and the insurance replacement value. Planning, Coordinating, Consulting – We organize, implement and manage the solutions you selected. Identification – we identify items for condition, historical, family specific, monetary or collectible significance. Should I have an appraisal or a valuation? Does an appraiser value items high or low?